Great Diverse Middle Grade Books. Round-up of some of my favorite books for middle grade readers, including contemporary fiction, fantasy, and historical fiction. Great Diverse Books for Young Readers. These six books all feature interesting and diverse girl characters from a range of countries and backgrounds. #DiverseKidLit link up. Share a link or find the latest diverse book recommendations here. Braced (2017) by Alyson Gerber. Rachel is ready to face all the regular challenges and excitement that comes with seventh grade ... until she gets the news that her scoliosis has progressed and that she will need to wear a back brace - 23 hours a day. This is a very relatable book about middle school, friend drama, soccer, and the pressures of conformity. 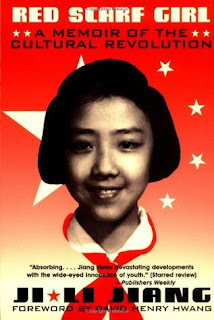 Red Scarf Girl: a memoir of the Cultural Revolution (1997) by Ji-Li Jiang. This memoir covers Ji-Li's life from ages 12 to 14 at the start of the Cultural Revolution (1966) in China, as her world collapses around her, due to her landlord grandfather and her father. I am looking forward to the deep discussions and conversations we will be having in seventh grade around this story and its implications for our own personal views and actions. 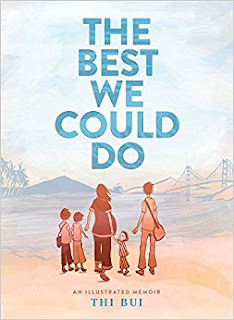 The Best We Could Do: an illustrated memoir (2017) by Thi Bui. Rounding off the memoirs for now is this deeply affecting memoir by Thi Bui about re-discovering her family story of life in Vietnam and their eventual immigration to the United States. 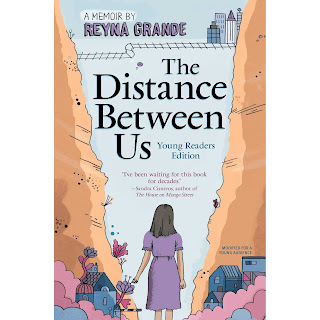 Although this book could probably be tackled by a young adult reader, the focus is clearly an older audience - especially parents - with a focus on family line, life, and legacy (as well as a fairly graphic beginning with the birth of her son). I read Red Scarf Girl a long time ago. I also enjoyed Revolution is Not a Dinner Party by Ying Chang Compestine. Chu Ju's House by Gloria Whelan is another story about the revolution. Both of those books were recommended to me by Chinese students at my school. I read Revolution in Not a Dinner Party several years ago. I have it out in case students want to follow up after finishing Red Scarf Girl. 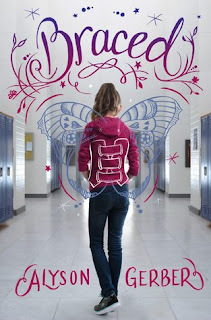 I really loved BRACED and I just found out an acquaintance's daughter has been diagnosed with scoliosis. I'm thinking this could be a book of comfort for her. My son must got his brace off and he is overjoyed. I'll look into Braced (although I think as a boy he got off easier, as he mostly wore t-shirts that covered it up). Great Diverse Books for Younger Readers! Great Middle Grade Diverse Books!